The debate over the Sydney Cricket Ground surface has raged this week as five of Australia’s biggest codes went head-to-head over the quality of the ground’s surface. Playing in last week’s Big Blue A-League derby between Sydney FC and Melbourne, Victory’s Terry Antonis collapsed after his leg appeared to give way on the edge of the square. 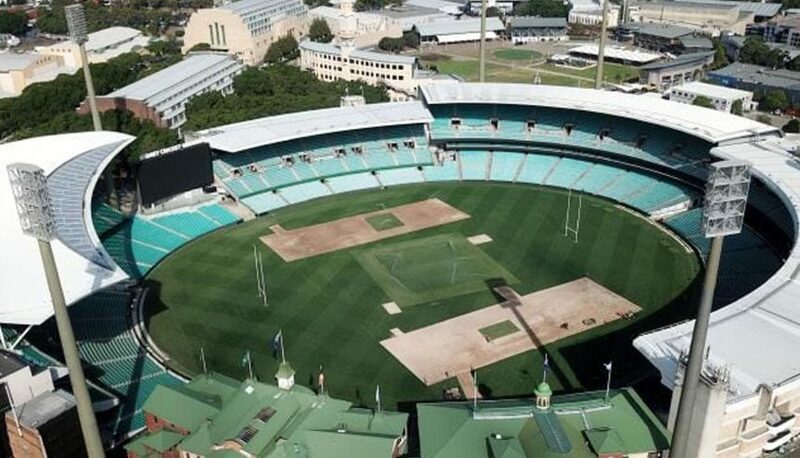 The stadium, which has been used for cricket, AFL, rugby union, rugby league and football in recent months, had come under fire in early March when a Super Rugby match between the NSW Waratahs and Queensland Reds saw huge holes caused by scrums. The turf had to be replaced but the concerns have lingered. It’s been an issue which has plagued grounds across the country with Marvel Stadium needing to be resurfaced after the first round of the AFL season and Caroline Wilson calling out the Adelaide Oval on Channel 9’s Footy Classified on Monday night with “four serious knee injuries” at the ground. Sydney FC has already moved its last game of the season to Jubilee Oval, while the Sydney Roosters are feeling the heat to shift their matches for the remainder of the season. Fox Football commentator Archie Thompson is well versed in serious injuries caused by grounds, having suffered a series of serious knee injuries including in the 2009-10 A-League grand final, where he was stretchered off after just 12 minutes. He said concerts at what is now Marvel Stadium contributed to the injury. The issues with the surfaces of multi-use stadiums have been longstanding and Thompson said the players are worried about the playing surfaces when used for several different sports. “I was on the (commentary) panel during the (Big Blue) and I did have contact with one of the players just to get some insight about the squad and he said ‘don’t be too concerned about the squad mate, I’d be more worried about the pitch we’re playing on’. That’s coming from players,” Thompson told news.com.au. “It’s a shame because that’s just about player safety and I think we’ve talked a lot about it during the week and it shouldn’t have even been about that. “Playing here in Melbourne, we’ve had to share the stadium (Marvel) with all sorts of things, concerts, AFL, even to some extend AAMI Park with concerts again and rugby, so it’s hard when you’ve got so many codes in one country and especially when you don’t have your own stadium.